Silver Leaf Construction has developed a unique customer friendly technology driven process to deliver quality, efficiency and reliability. 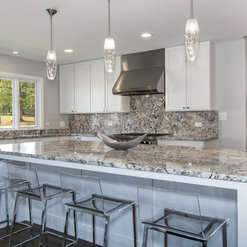 Specializing in Kitchen & Bath Remodeling, Additions, Window Replacement and Exteriors our highly skilled team of designers, superintendents, project managers and craftsmen work to deliver your project in a cost effective and timely manner. Regardless of the size or scope of work, we dedicate our efforts to ensure that every detail is addressed and your new space exceeds expectations. The design and quality of work was excellent. Every member of the team helped us reach our goal. 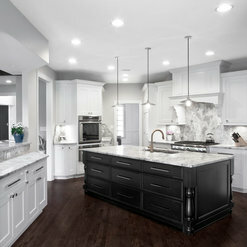 I would highly recommend Silver Leaf Construction & Renovation. Renovation/ Restoration- We had the unfortunate circumstance of a fire to our family room/fireplace area. Jeff helped us maneuver through the insurance process, the estimate and, start to finish, every member of the Silver Leaf Team helped get us up and running again. The workmanship is A-1 and we will never use anyone else! Thanks again! Comically inept, horrible customer service, grossly overpriced for product delivered. Have worked with everyone from local guys to Nate Berkus - have never had to deal with this level of incompetence. Subcontractor managed to flood our house 2x installing basic plumbing fixtures and drains - six months later, no help getting water damage repaired. Have MOLD in our brand new master bath that has been sitting there for 4-6 weeks. HORRIBLE. We take great pride in our work and want every client to love the process and their finished space. Unfortunately, there are always two sides to every story and we are disappointed our client feels this way. At no time during or after construction was this client's home flooded. The plumbing issues in this home were a result of a manufacturer defect in a faucet (currently we are helping with the warranty claim), and corrections needed from the original home builder. The initial leak occurred during demolition where a screw was discovered in the radiant heat tube, which was installed by the original builder. When we removed the sub-floor and screw in this area, the tubing began to leak. We were able to shut the system down quickly and the residual damage to the space below was minimal. At that time the client elected to not have the paint touch up completed as that space was due for a full paint job and in need of other repairs. The second leak occurred during a water shutdown when a clogged drain in a room outside of the work area overflowed, resulting in minimal cleanup and no residual damage. 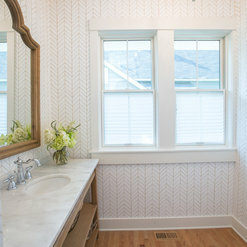 The third and current warranty claim was resulting from a defect in the master vanity faucet. We were notified on 8/1/18 at 7:05 pm of the issue and were available to come out at 7:30 am the following morning to assess the problem. The client declined the service call as they planned to be out of town for two weeks. We scheduled the service for the day after their return and made a repair to the faucet at that time. We have been in contact each week since with status and have been in contact with both the faucet and cabinet manufacturers to be sure the product defect repairs are approved and in accordance with manufacturer requirements. This is a very unique situation requiring custom parts and proper protocol be followed to assure continued warranty on products, which unfortunately no firm could have control of the time line in these events. Our entire team here at Silver Leaf strives to create a seamless experience with every project, we feel we are still doing everything within our power to help this client and our team will continue this mission day to day. 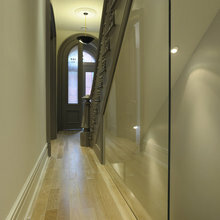 We used Silver Leaf Construction for a home remodel. They did a great job from start to finish and were extremely knowledgeable and helpful. Jeff has a great vision and helped us think outside the box when it came to design and decision making. Jeff, Larry, Andy and the entire Silver Leaf Jeff team were very professional, reliable and trustworthy. They helped us to create a great plan, stayed on track and the quality of work is excellent. I would highly recommend Silver Leaf and would definitely use them for additional projects. Silver Leaf has done many projects for me both at my home and my business. Their work has always been excellent and they really pay attention to the details. I am in the process of having them convert a commercial space for me right now. Excellent company. Thanks Mike to you and the staff...We enjoyed making all the improvements at La Fiesta and look forward to the next project! Thanks for the kind comments, it was a pleasure working with you on your renovation project. We look forward to collaborating again soon and are never too busy for referrals! 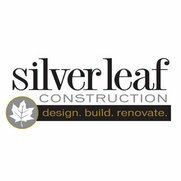 Can't wait to work with the entire Silver Leaf Construction family again for the next part of my renovation! They transformed my space to suit my needs in every possible way. Everyone was extremely knowledgeable, attentive and patient to all my requests and MANY questions. Everyone on staff always had my best interest in mind and I felt they were always very honest as they guided me through the process. It was important to me that the company I chose was professional, had a modern approach and did things in a timely manner. 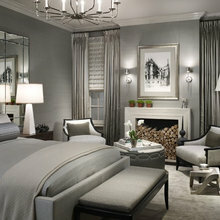 Silver Leaf Construction delivered just that. Glad you enjoyed the process and we look forward to collaborating again on next phases of renovation. Thanks for the kind words and enjoy your new space! 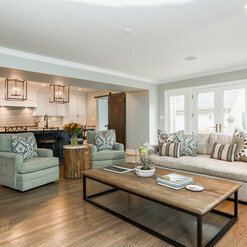 We embarked on a major renovation in 2014 which resulted in moving from a 3400 square foot home with 3 baths, 4 bedrooms, 2 car garage and unfinished basement to a 4600 square foot home with 7 baths, 4 ensuite bedrooms, 3 car garage and finished basement. We selected Silver Leaf Construction (SLC) after reviewing proposals from 2 other vendors primarily because of their reputation in the industry and buttoned up approach to documentation/tracking with Builder Trend. 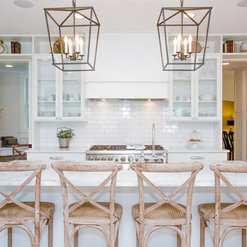 Any renovation process by definition is stressful and demands diligence, tenacity, patience, focus, stamina, attention to detail, open lines of communication and teamwork. We worked closely with Jeff and Larry, which included daily conversations, on site visits, troubleshooting, and making changes on the fly. We relied on their expertise in making countless decisions and appreciated their collaborative approach in resolving issues and adhering to strict quality standards. It’s been 3 years since the project has been completed and we couldn’t be happier with results. Despite the scope of the work, there are no structural issues, leakage or issues with poor craftsmanship. The true acid test for separating SLC from the competition is their unwavering commitment to customer service. SLC ensured that all items on the final punch list were completed to our satisfaction. While we are no longer considered active customers, SLC has been available to address minor issues, even at this date. We trust that SLC will always be there for us whenever the need arises. Based on our experience, we highly recommend SLC to anyone considering a renovation. Their expertise, reliability and commitment to excellence will not disappoint. Thanks to SLC, we are thoroughly enjoying our “new’ home! Thank you so much for a detailed review and we are glad your enjoying your new space! Your always an "active" customer to us and we look forward to the potential to collaborate again with you and are never too busy for referrals! We have worked with Silver Leaf Construction on a major remodel and a few smaller remodel projects over the last 4 years. Silver Leaf is a great company with a good solid owner and reliable trustworthy team members. We do and will continue recommending Jeff and his team to our friends and neighbors. They stand behind their work and make every effort to accommodate you. Thank you for the review and it was and will continue to be a pleasure to collaborate with you on any size project...Hope to hear from you again soon and thanks for the referrals! Silver Leaf is one of the most organized and professional companies I have worked with. They have a great website with a personal login that takes you through every step of the construction process! Very helpful and talented company! We're glad you enjoy both our customer login and overall process, as we always are striving to exceed customer expectations! 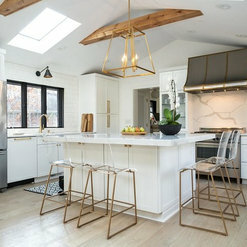 I hired Silver Leaf for a major home renovation and couldn't have been happier with their work. They took the time understand what I was looking for and helped me fit all of that into my budget. 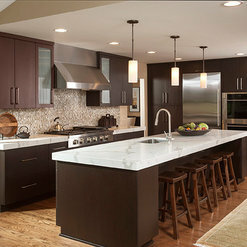 They were very professional from the initial consultation through the entire construction of my project. They have a friendly staff who I trusted in my home and they always provided great solutions and insightful suggestions. The quality of the work was excellent, and at the end of the project, everything we agreed upon was done in a timely manner and within the budget. I'm sure I will use them again in the future and have already been recommending them to friends. Thanks for the great review and we certainly look forward to future projects! We're never too busy for client referrals as well and glad you enjoyed our process! Jeff and his team at Silver Leaf are a pleasure to work with. Renovation projects can be very stressful, but Jeff makes it as easy as possible. His team is organized, dependable, and trustworthy. We worked on a very challenging project together and his character and strong sense of business ethics came through. I look forward to working with Silver Leaf again and feel confident recommending them to our clients. Thanks for the detailed review and it has also been a pleasure working with you and your design team. We take pride in our process and hope that we can continue to work together on projects! Much appreciated and continued success! Commented: Love the hood. Could you tell me if the brass straps are antique brassThis was a custom hood. 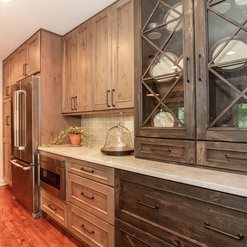 Unlacquered brass was used and the hood was &quot;aged&quot;/&quot;weathered&quot; outside after it was built to achieve this look. Commented: Laundry room redoThe countertop material is 1 1/4&quot; Arctic Grey granite with eased and polished edge.